The Showhawk Duo are Bristol-based guitarists Mikhail Asanovic and Jake Wright. The pair have dazzled audiences worldwide with their spectacular approach to playing the guitar. 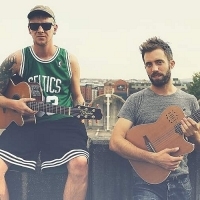 Their playing style has broken down barriers between acoustic and electronic music. They have re-thought traditional musical structure creating their own all-encompassing genre. Whether Playing old-school trance classics or modern funky house, their live show knows no boundaries and will leave you amazed. Together they create a truly unique and impressive sound, and have turned many "acoustic" nights into a thumping rave."